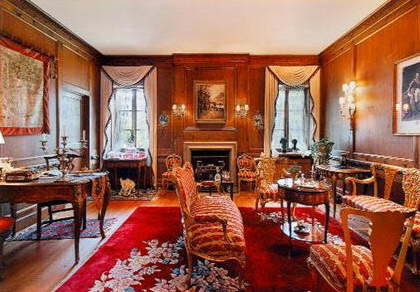 Perhaps it is the difficult economic climate that affords us the rare opportunity to view interiors of some of the storied houses of David Adler. 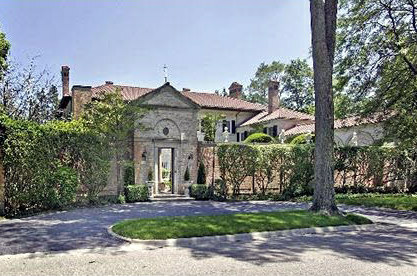 The Chicago-based architect designed many homes in the city’s North Shore and Gold Coast areas. Adler had an unerring eye for proportion, and a limitless vocabulary of styles. 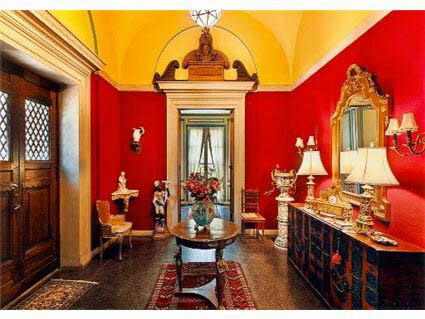 His sister, Frances Elkins, was a celebrated interior designer, and assisted him with many of his projects. This Adler-designed lakefront treasure is for sale for $6.2 million. 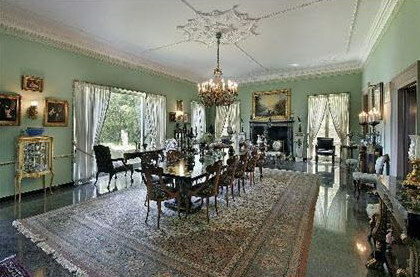 Adler designed the 21-room home in 1916 for Charles and Frances Pike. Mr. Pike was the son of Zebulon Pike, for whom Pike’s Peak is named. When you approach the house, from the street, it arises like something out of a dream. I’d always wanted to see what it looked like inside. Although a friend of mine lived down the street, he did not know the current owner, and one does not go anonymously knocking on the doors in this ‘hood. Hence, I am delighted to present to you these views. Adler designed the villa to take advantage of the property’s proximity to Lake Michigan. 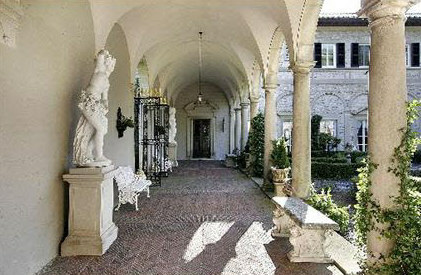 Let’s catch a breeze along the classically proportioned loggia. 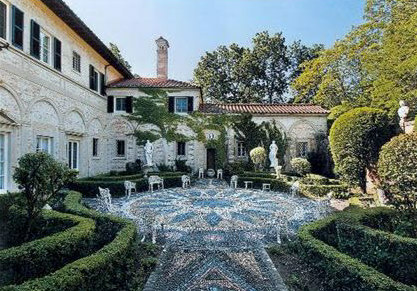 The courtyard features a signature Adler design, paved with stones he selected from the home’s beach, all those years ago. 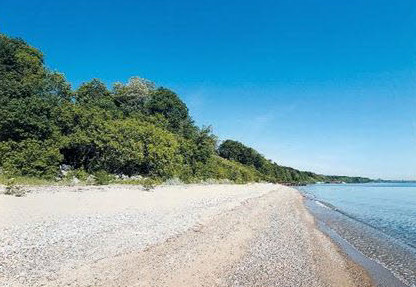 Now, taking a break from the home’s exterior grandeur, we’ll wander down to the beach. 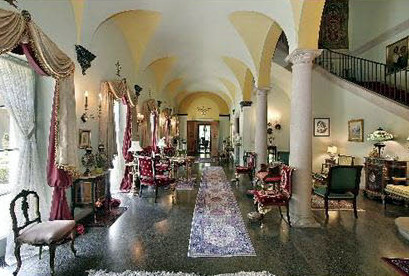 We’ll wipe the sand off our feet, walk back up to the home’s entrance, and step into the magnificent foyer. Note Adler’s masterful treatment of the pediments, and how they direct your eyes toward the coffered ceiling. 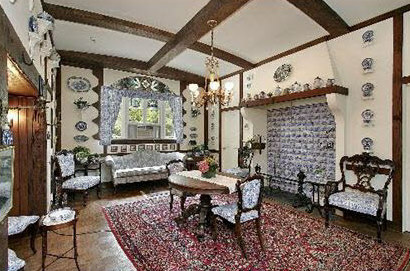 Next, we’ll poke our noses in the paneled living room. Entertains quite a few, wouldn’t you say? 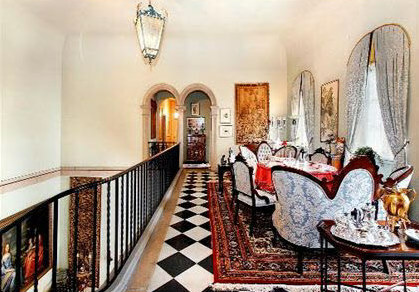 The dining room accommodates an ample number of guests. Another room is faithful to the home’s Mediterranean roots. 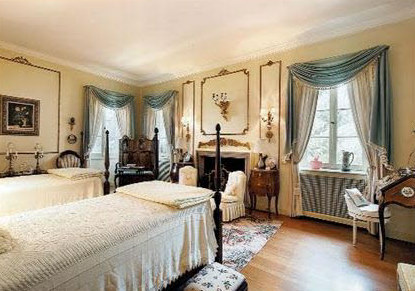 Here we see a large bedroom. Wonder if it overlooks the lake. 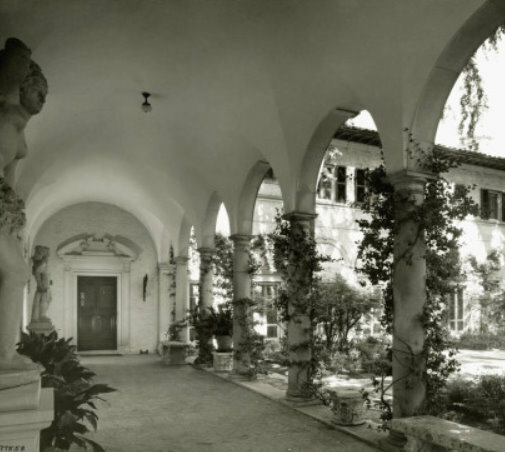 Not to be unkind to the current owners, who have no doubt poured millions into maintaining this residence, but clearing some of the furniture inventory and window treatments would make the home truly shine. Our tour is complete. I hope the new owners bestow the same amount of care the the present owners have lavished on this landmark.